How far will you go for her love? How big is your love for her really? How does one even begin to measure the feelings of euphoria and closeness experienced when you’re together, or the unendurable pain of being apart? At times it seems that no distance or obstacle are too great to overcome in the service of love, and when you truly feel that way, there’s an intense need to shout it out for everyone to hear! You might not want to do that, what with the whole disturbing the peace problem. 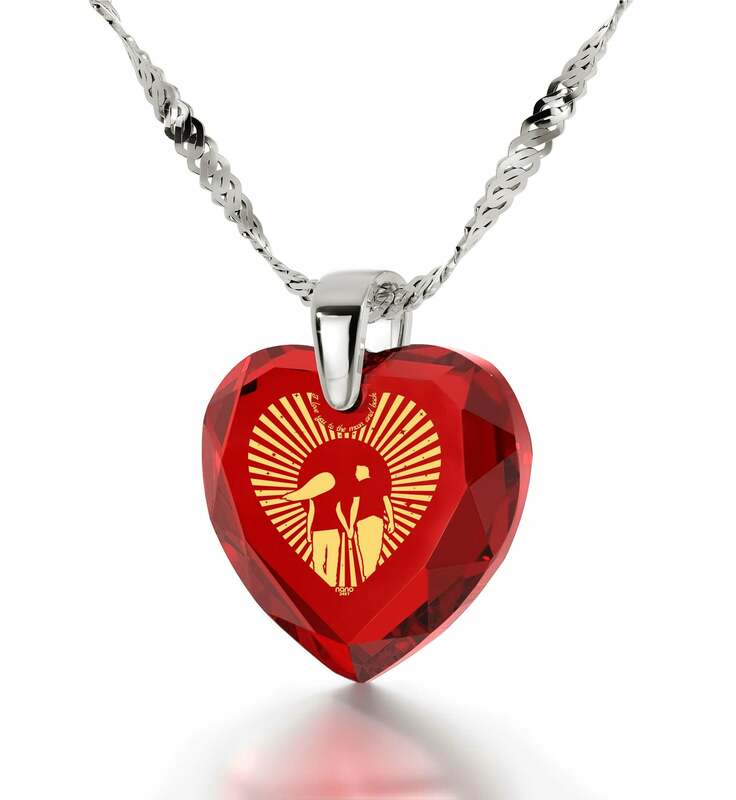 What you can and absolutely should do though is share the vastness of your love with a top gift idea for women! Forever a symbol of secret meetings, tender caresses and unforgettable nights, the Moon reigns supreme as easily the most romantic object in the night sky. 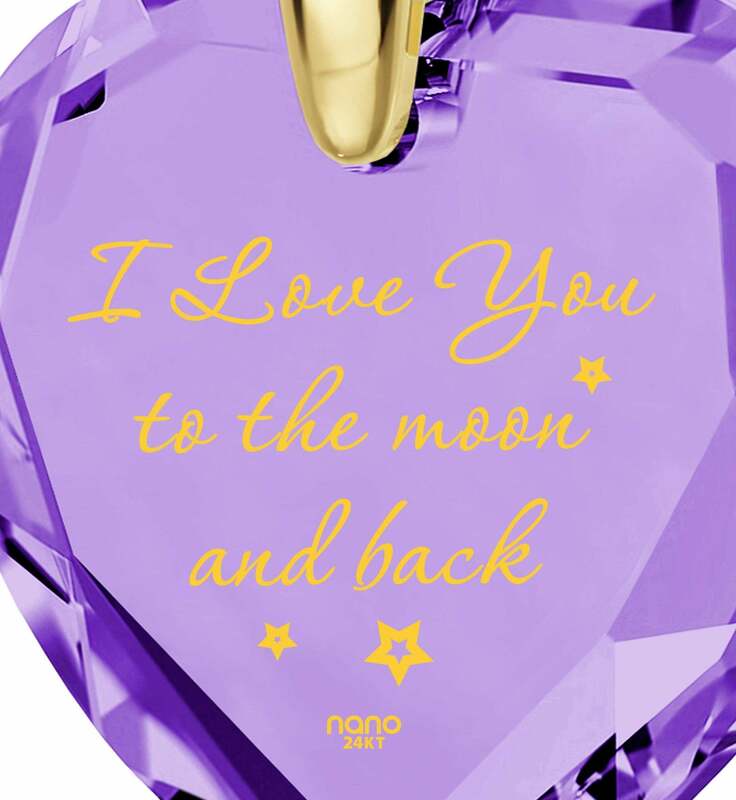 If you find that your affections are as great as the journey you’d undertake to and back from it just for her to repay them in kind, then an I love you to the Moon and back necklace is a meaningful and cool gift for her that answers the questions from the start perfectly. 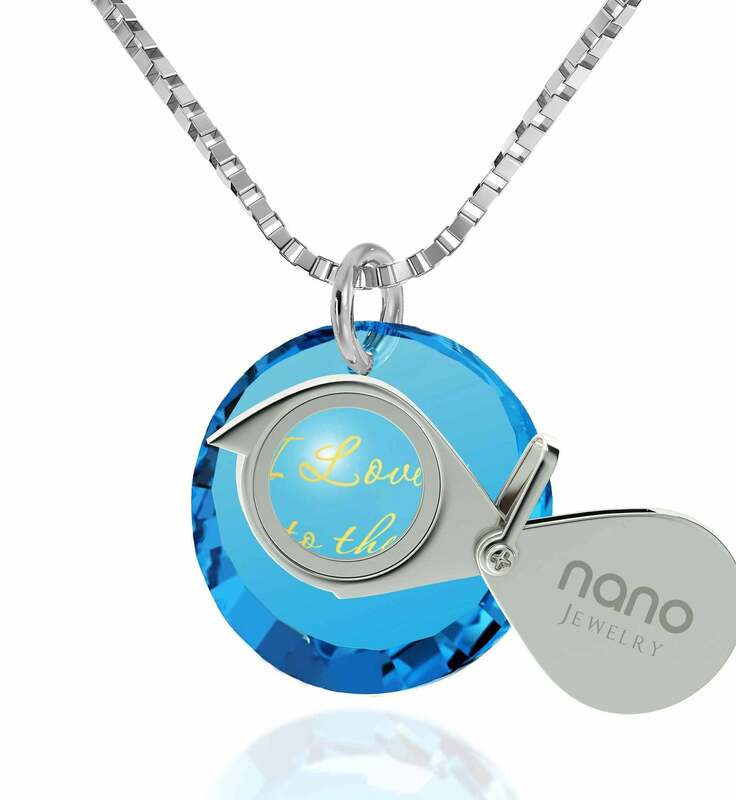 In this luminous collection we’ve brought together womans gift ideas that let her know that the Earth itself isn’t nearly big enough to be able to contain the love that’s all but bursting out from you. 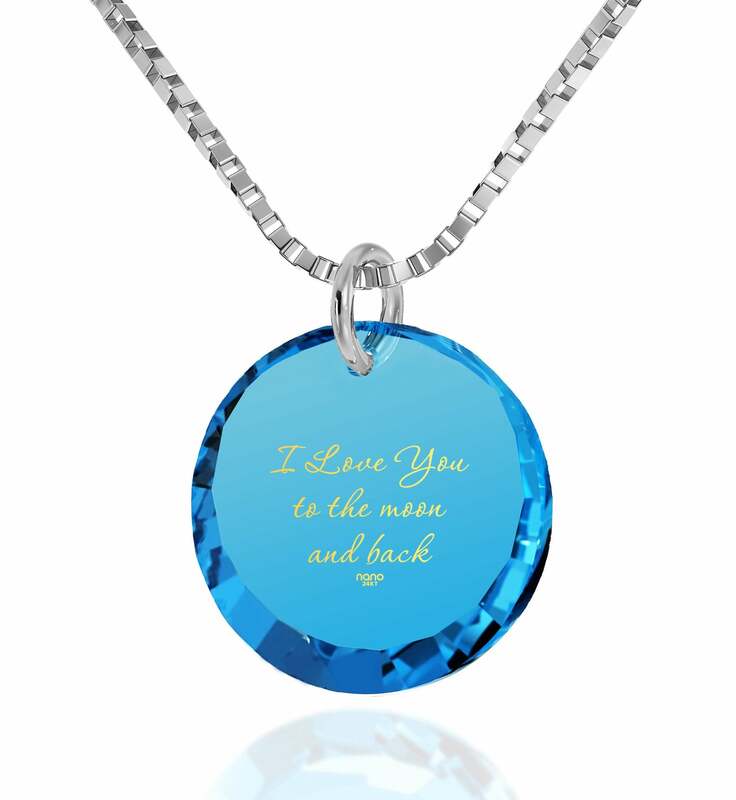 Whether you want to stick with the Moon theme completely and go with a womens silver necklace, kick it up a notch and choose one crafted with white gold or go with the options in-between, the phrase “I love you to the Moon and back” or its solar counterpart are inscribed onto every necklace’s gemstone with only the purest 24 karat gold. 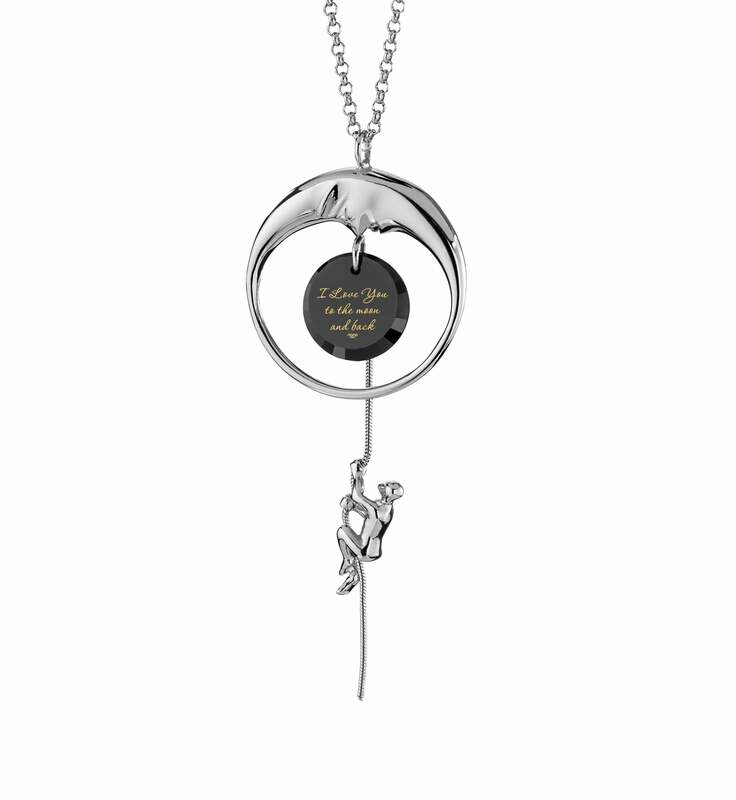 If you feel that the words alone are not enough to spur on her imagination, there are also several necklaces with meaning to consider which portray Luna and Sol in all of their alluring mystery. 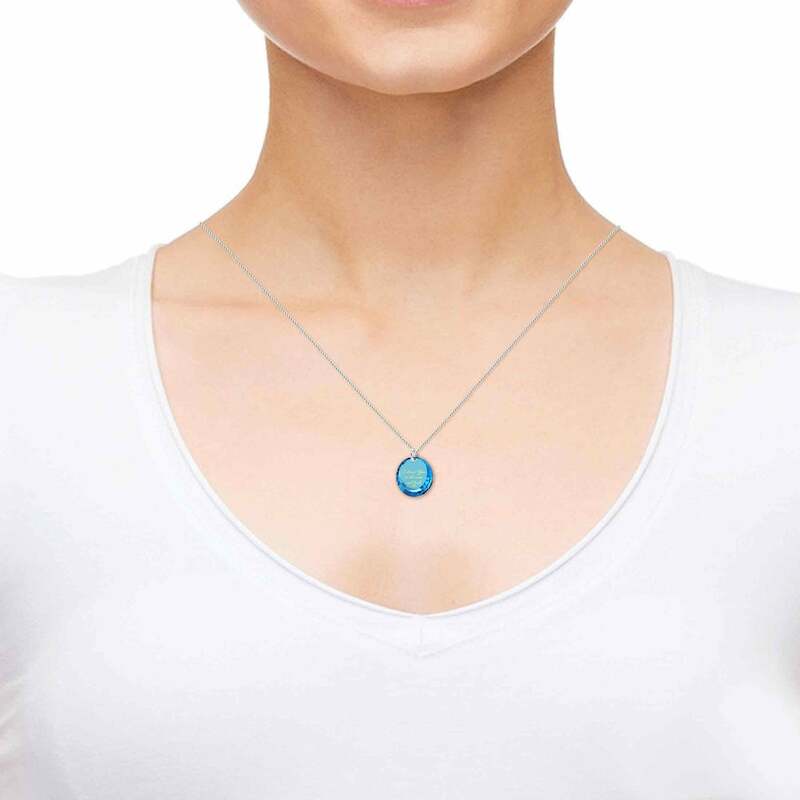 A birthday idea for girlfriend as splendidly silver as the Moon itself, this exclusive necklace is made up of a round cubic zirconia gem set inside an immaculate mandala frame. 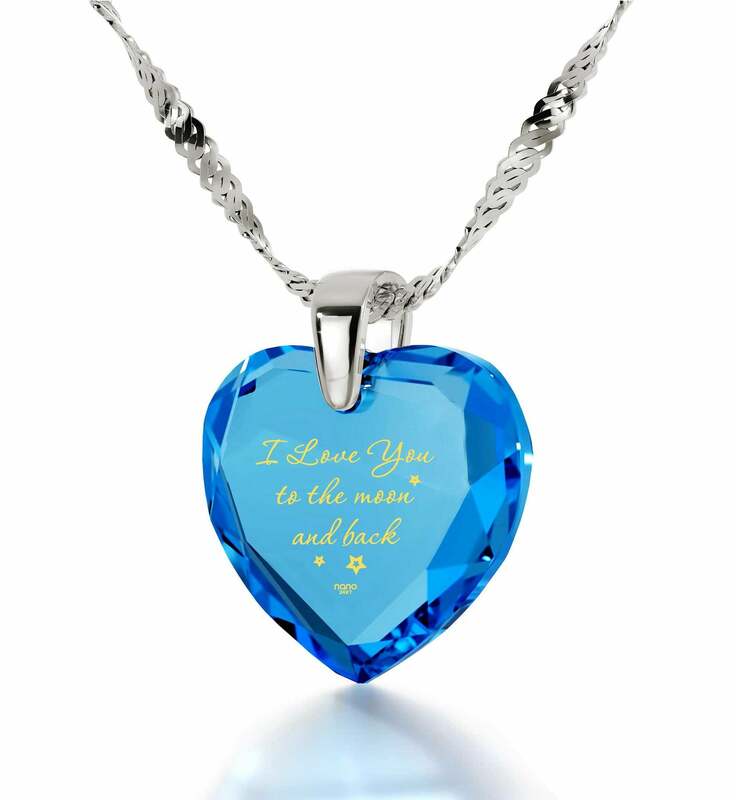 She’ll love to re-read the endearing description of your love that graces the stone in wonderful golden cursive. Black as night, perfectly transparent or anything in between, it will prove to be a stunning newcomer to her jewelry selection. 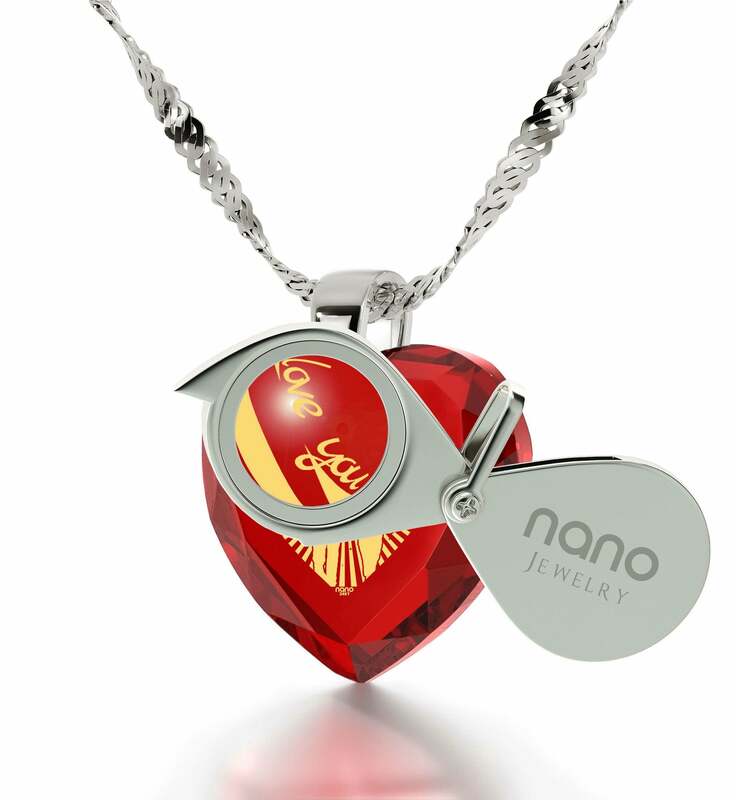 This necklace is a top gift for wife in every respect, especially if she loves striking gifts that have a story to tell. 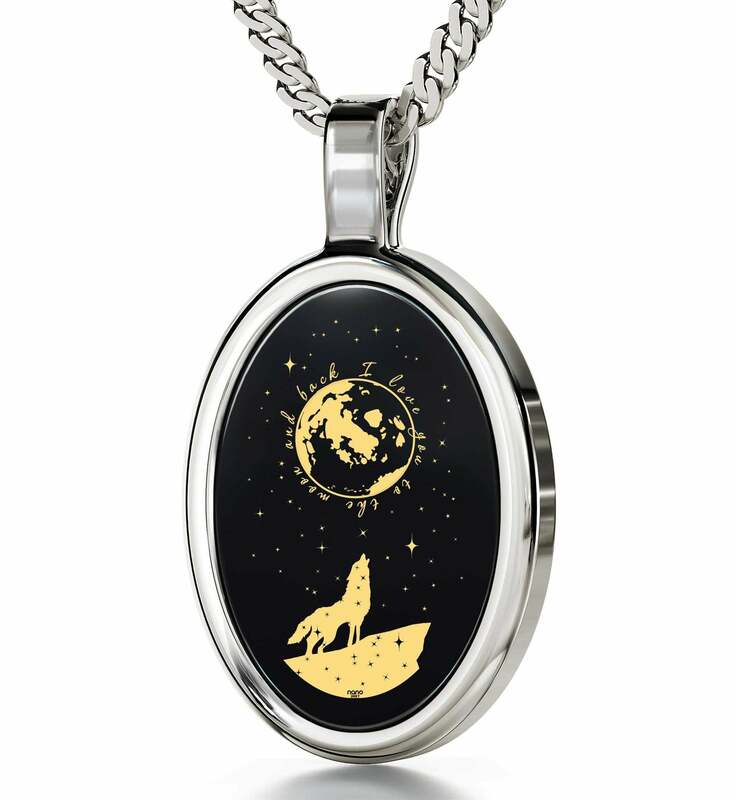 In it a wolf is howling at a magnificent Moon on a star-filled night of blackest onyx. 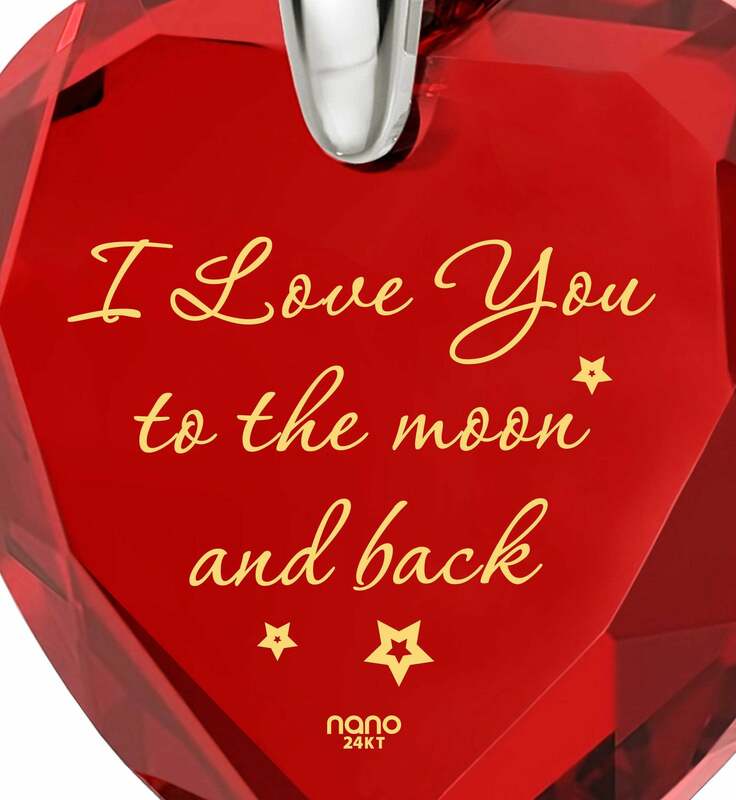 The detailed scene will make her imagination race with many interesting possibilities, and the love confession surrounding the Moon is sure to be in every one of them. 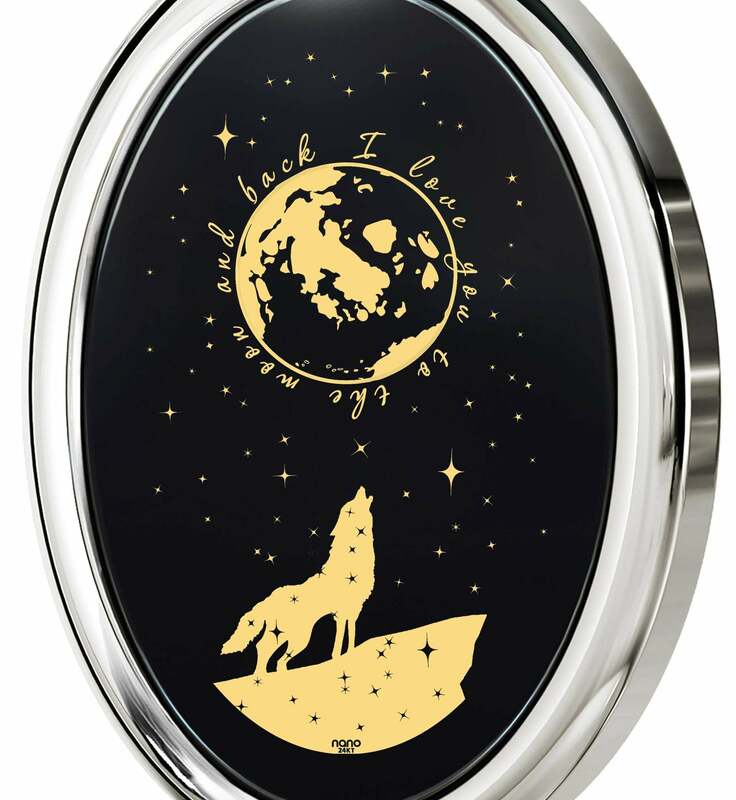 Its oval white gold frame is reminiscent of moonlight, but if you feel that a golden version would go better with the scene inside the onyx, the great gift for wife comes in one too. 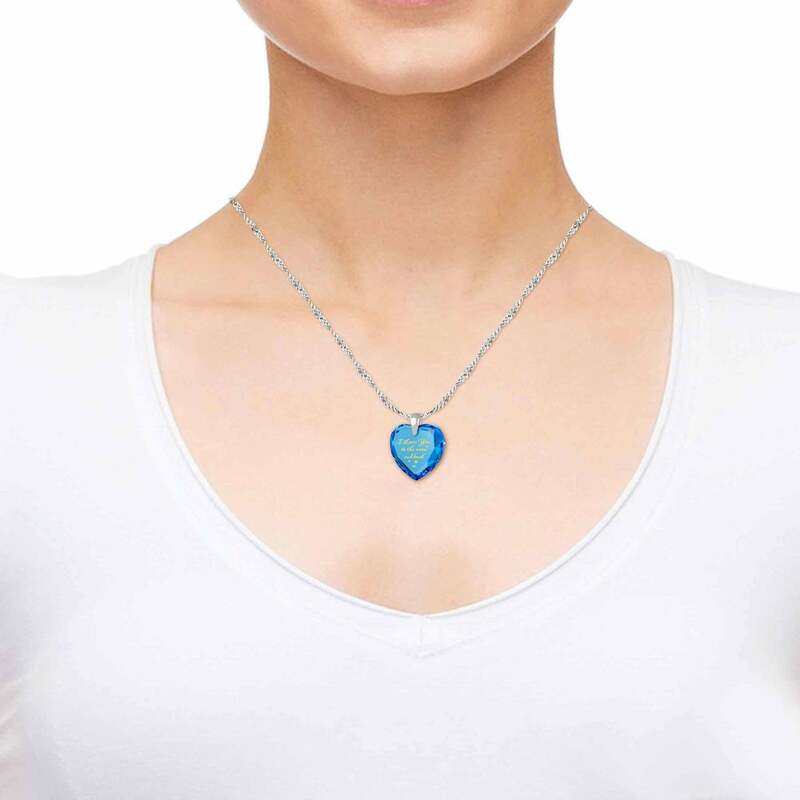 Less mysterious but much more straightforward in its romantic appeal is this heart necklace for women enhanced by another unusually beautiful inscription. It shows a couple gazing up at a magnificent moon and basking in its rays. What does the future have in store for them? Where will the Moon lead them? The two of you will surely have a lot of fun in figuring it out. 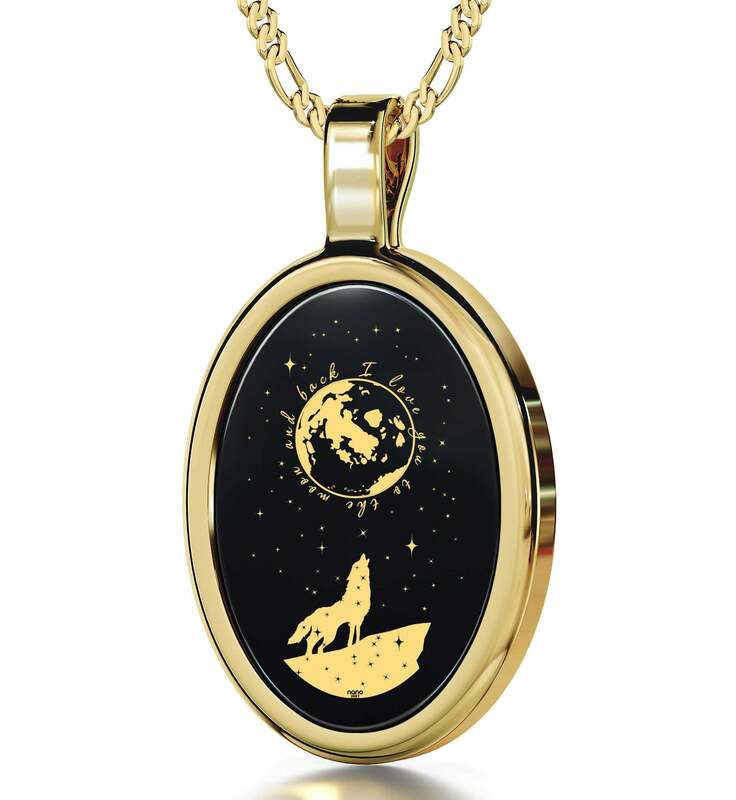 This next Moon-themed necklace would make a captivating birthday present for wife. Its delicately decorated round frame mimics the silvery light of the Moon, and the stone set inside of it has a detailed golden depiction of one surrounded by countless tiny stars. It’s the kind of scene she can lose herself in for a very long moment, and will probably even do so from time to time. This piece is a splendid anniversary present for her that’s also opposite in practically every way to the first one mentioned above. A radiating mandala frame crafted from gold replaces the silver one, and a magnificent Sun lights up its central gemstone. When loving her to the Moon and back simply won’t cut it, more distance and a brighter goal are called for. 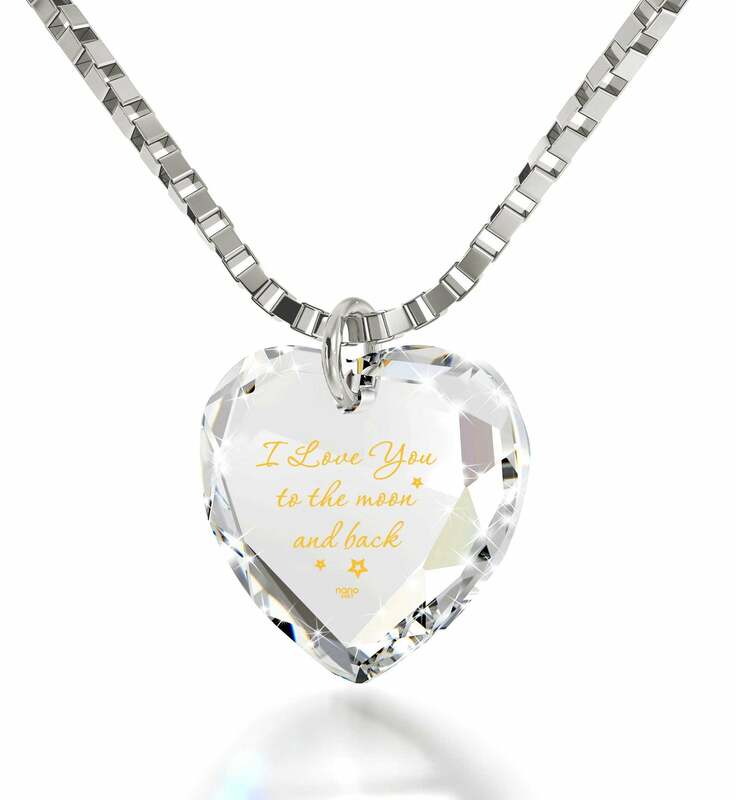 “I love you to the Sun and back” becomes the standard to live up to, and this cute necklace for her is its flashy representation. In the end, why not forever remind her of warm spring days spent in taking in the warmth and light the Sun blesses us with? 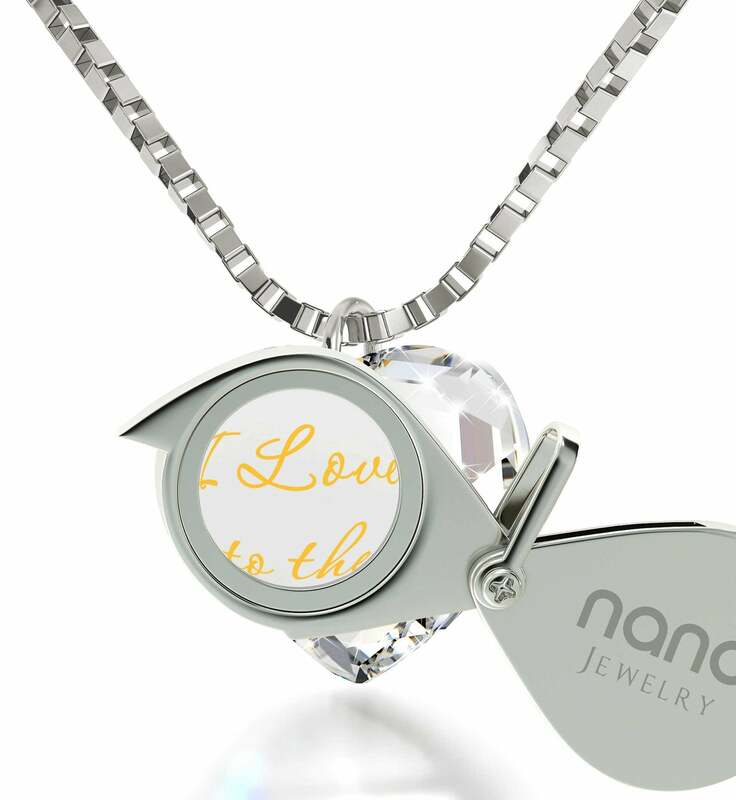 The love necklace for her that hits the nail on the head in doing so shows a blazing Sun caressing a flock of golden butterflies with its rays and bearing witness to the passion within you that’s equally bright. 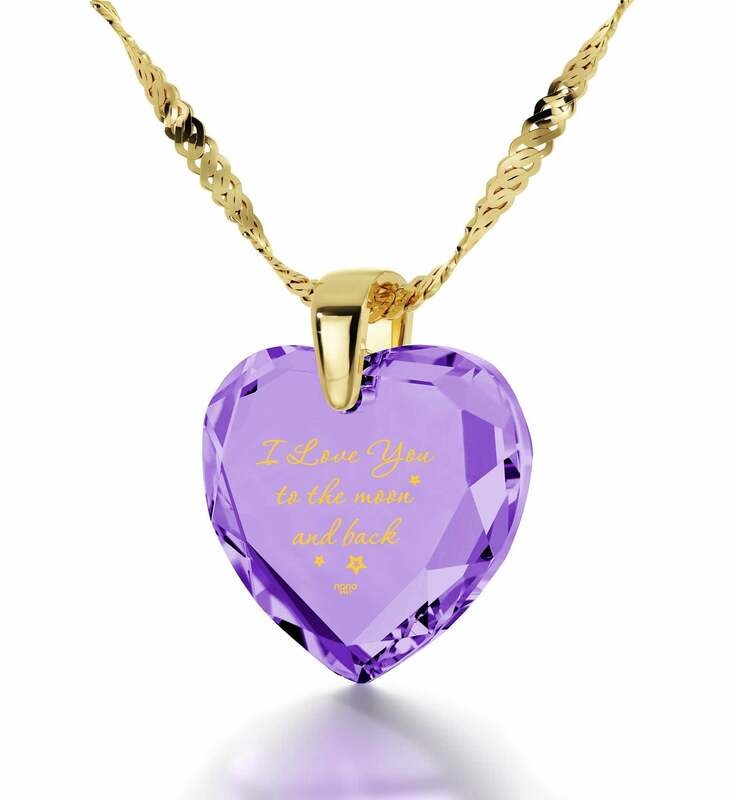 If the two of you happen to be celebrating another year of togetherness in the spring or summer time, go with a golden Singapore chain and bail instead for it to become the best anniversary gift for wife around. 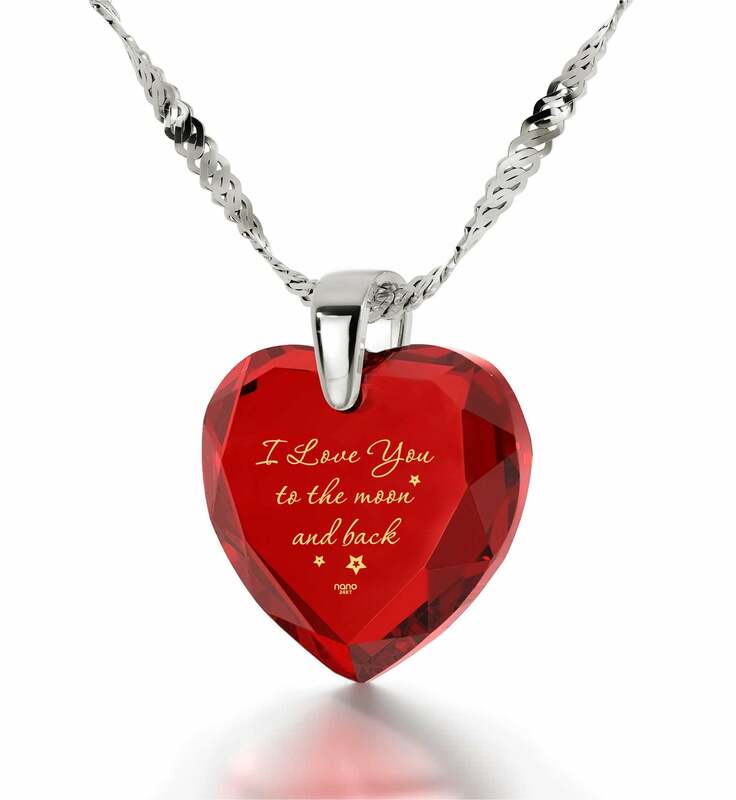 You’ll have to prove the phrases inscribed onto the jewelry gift ideas for her with your deeds and character, but you’re certainly off to a good start! She’ll have no trouble reminding herself of your affection since we’re surprising her with a dainty magnifying glass that makes gazing at the rich text and inviting imagery a welcome experience. Think long and hard on which love gift idea will suit her personality and style best, and leave the boring logistics stuff to us. It will only take a phase or two of the Moon to pass for the unusual womens present to reach her. When it does, you can be sure that the impression it will have on her will make the brightness of a moonlit night pale in comparison.